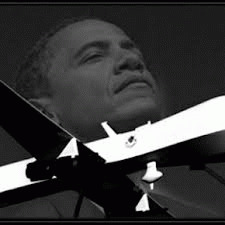 Legality of Drone Warfare or Illegality of Drone Assassination? Let a Real Debate Begin! Law professor Harold Koh, a former Yale Law School Dean and former Legal Adviser to Hillary Clinton's State Department, hired by NYU to teach human rights and international law, recently found himself in the crosshairs when NYU law students posted a "statement of no confidence" in him based on the prior actions he undertook to justify, enable and expand the use of Obama's "extrajudicial killing program." A harsh critic of the Bush Administration, Koh is obviously well liked among those who consider themselves in the liberal legal intelligentsia. Unfortunately, instead of defending Koh's legal rationales for drone killing on the merits, a number of these law professors, led by Koh's cronies at the State Department, pilloried the NYU students, defending and praising Koh on mostly personal grounds, or for his other legal contributions, almost entirely avoiding discussion of the issues surrounding US' high tech targeted killing. However, at least two respected law professors,Fionnuala N Aola'in (at University of Minnesota Law School) and Philip Alston (Professor of Law at New York University Law School, and former UN Special Rapporteur on extrajudicial executions, 2004-10) criticized their fellow academics' glossing-over approach since "one can reasonably take the position that the US government and its targeted killing programs breach international and human rights law standards." Both lamented their fellow professors' avoidance of discussing the important issues and sending "a real chill to an important open debate." In our op-ed (below) published April 29, 2015 by the Brainerd Dispatch newspaper (which built upon a related one we wrote in 2012), Robin Hensel and I decided, by contrast, to focus on the illegality of the US' new high tech "warfare." Brainerd is not far from Camp Ripley National Guard base in Minnesota that trains military personnel on the "Shadow" and other smaller drones that started out being used for surveillance but have now become weaponized. Naturally our comments attracted some dissent, a substantive critique coming from Attorney Larry Frost of Paladin Law PLLC, Bloomington, MN, which in furtherance of a robust debate, I'm reposting directly below our piece with Mr. Frost's permission. Why has the United Nations Special Rapporteur called drone strikes extrajudicial killing? Why has a Pakistani judge recently filed criminal charges against a former top CIA lawyer who oversaw its drone program and a former station chief in Islamabad over a 2009 strike that killed two people? The Islamabad High Court ruled CIA officials must face charges including murder, conspiracy, waging war against Pakistan and terrorism. Why is a case being heard in May against the German government on behalf of three Yemeni survivors of a U.S. drone strike? The lawsuit argues it is illegal for the German government to allow the U.S. air base at Ramstein to be used for drone murders abroad, especially after the passage of a resolution in the European Parliament in February 2014 urging European nations to "oppose and ban the practice of extrajudicial targeted killings" and to "ensure that Member States, in conformity with their legal obligations, do not perpetrate unlawful targeted killings or facilitate such killings by other states." Why have Sicilians been protesting construction -- which in 2013 led to the President of the Region of Sicily temporarily revoking construction authorization -- of a US Navy base in their desert which would house Lockheed Martin's new satellite communications system? Part of the effort to automate war, to entrust the choice of targets to machines, a principal function of the system would be to remotely pilot drones all over the world, ultimately reaching the North Pole. Closer to home, why have protests arisen of Camp Ripley's drone training? When Col. St. Sauver, the commander at Camp Ripley, weighed in on the beginning controversy in September 2012, he lauded unmanned aircraft systems (UAS) as being used "to increase efficiency, save money, enhance safety and even save lives." He hit all the Pentagon talking points. The smaller "Shadow" drones at Camp Ripley were initially used to conduct surveillance and identify people (targets) for the lethal punch of the larger "Reaper" and "Predators." The smaller drones then served merely as an accomplice in the illegal drone assassination program, also termed President Obama's "Disposition Matrix" kill list. The goal of the U.S. State Department was, however, to arm the Shadows with guided bombs weighing under 25 pounds. Cleared for treaty compliance in 2011, Raytheon successfully tested a new 5 pound warhead developed for the Shadow that same year and in 2012, tested a 13 pound warhead. The Marine Corps thereafter sent armed Shadows to Afghanistan as a combat demonstration program. As a result of this high tech trend, some military officials have become even more effusive in their praise of "federated airpower as small UAVs (like the Shadow) can be bought and operated in numbers that provide far wider battlefield coverage. ... When smart networks communicate, almost brain-like systems will emerge." Down on earth, however, the short answer to all the questions posed above is that the law may be catching up with the stars in militarists' eyes. While commentators generally agree UAS technology is not illegal per se (which people often confuse the drone debate as being), when and how it's being used to extra- judicially kill in our self-declared "global war" is another story. Retired FBI Agent and former Minneapolis Division Legal Counsel.